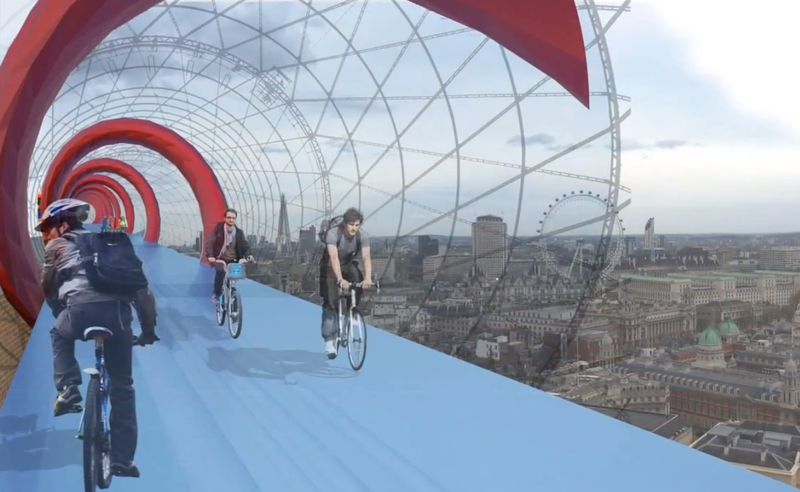 Landscape architect Sam Martin proposes Skycycle, a separated, elevated system of bike lanes for London. This idea was also proposed in Chris Hardwicke’s proposal for Velo-City, in Toronto. It is certainly futuristic and fantastic, but we would hope it does not ever replace traditional cycle commuting, and give that urban space back to automobiles.